Common Name: Schizonepeta, Fineleaf schizonepeta herb. Part Used & Method for Pharmaceutical Preparations: The aerial part of the plant is gathered in autumn and winter, dried in the shade and cut into pieces. It can be used raw or baked until yellow and black in color. Functions: 1. To release the exterior and expel wind; 2. To stop bleeding. 1. Wind-cold exterior syndrome manifested as headache, chills, fever and absence of sweating. Schizonepeta (Jingjie) is used with Ledebouriella root (Fangfeng) and Notopterygium root (Qianghuo). 2. Measles and skin eruption with itching. Schizonepeta (Jingjie) is used with Mentha (Bohe), Cicada slough (Chantui) and Arctium fruit (Niubangzi) to bring the rash to the surface and alleviate itching. 3. Wind-heat exterior syndrome manifested as fever, headache, sore throat and slight sweating or no sweating. Schizonepeta (Jingjie) is used with Mentha (Bohe), Forsythia fruit (Lianqiao) and Platycodon root (Jiegeng) in the formula Yin Qiao San. 4. Hemorrhagic diseases, such as epistaxis, bloody stool and uterine bleeding. Carbonized Schizonepeta (Jingjie) is used with the ohter herbs that stop bleeding. Dosage: 3-10 g, decocted in water for internal use. For inducing diaphoresis, it should be used unprepared. To arrest bleeding, it is stir-fried until charred. 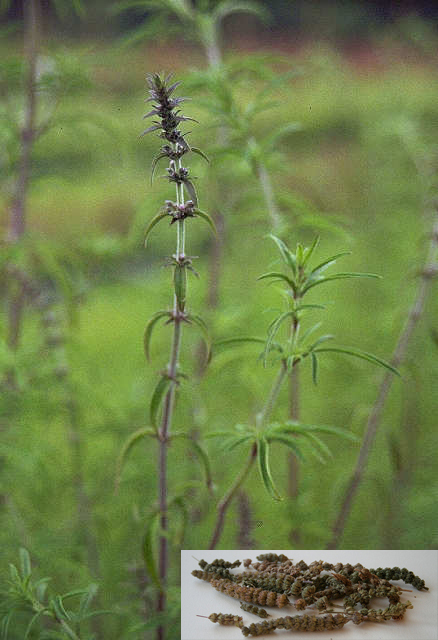 Cautions & Contraindications: To stop bleeding, this herb should be carbonized (or baked until yellow and black in color).